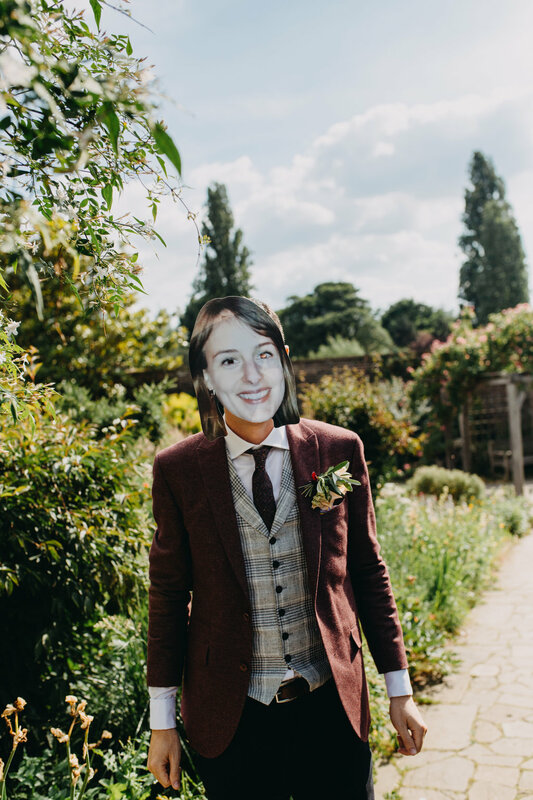 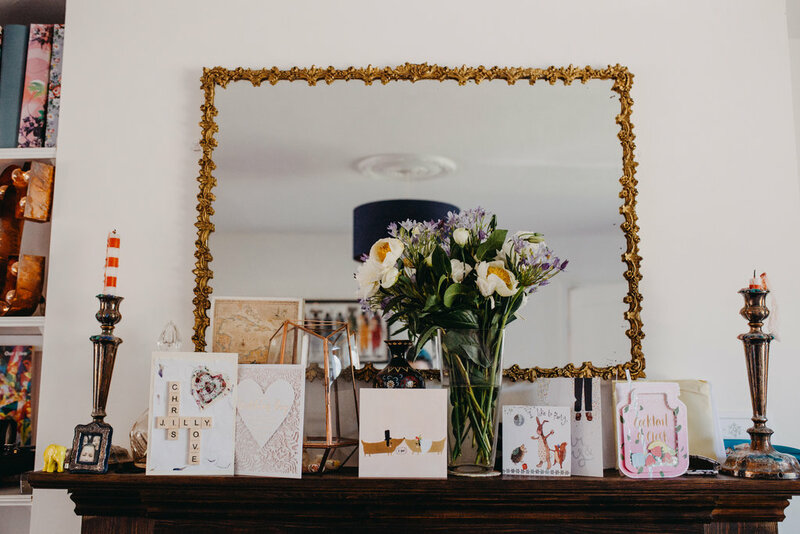 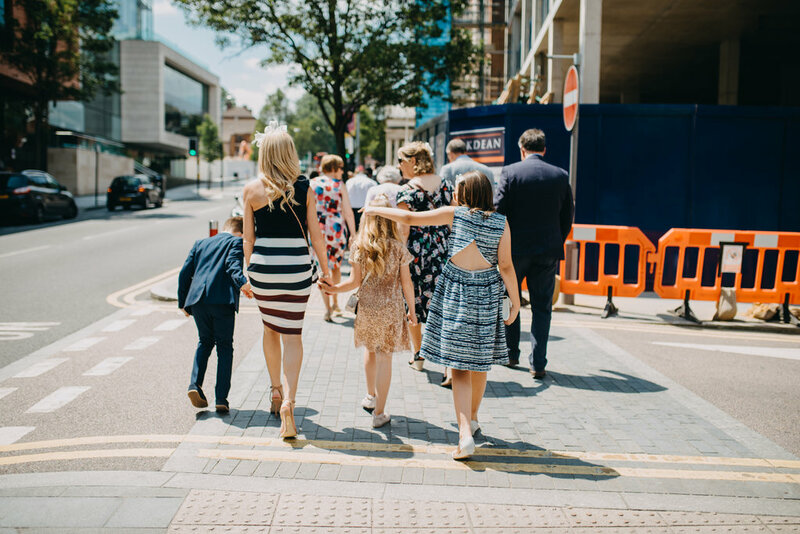 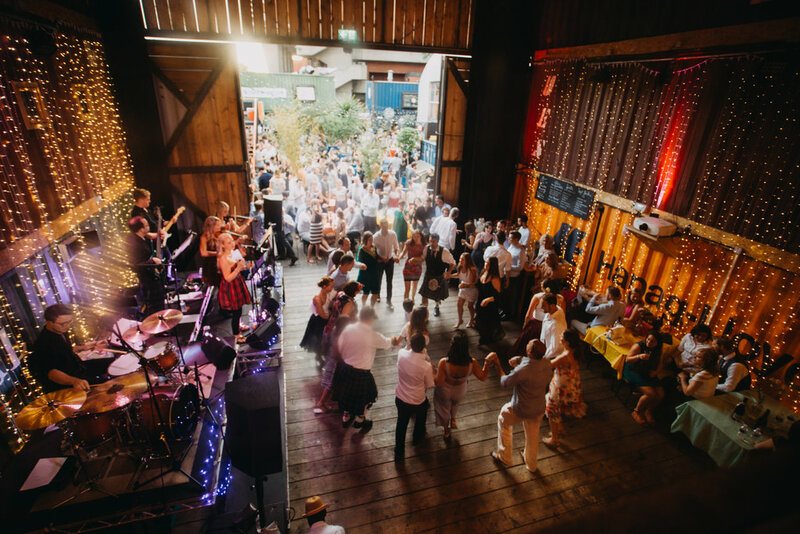 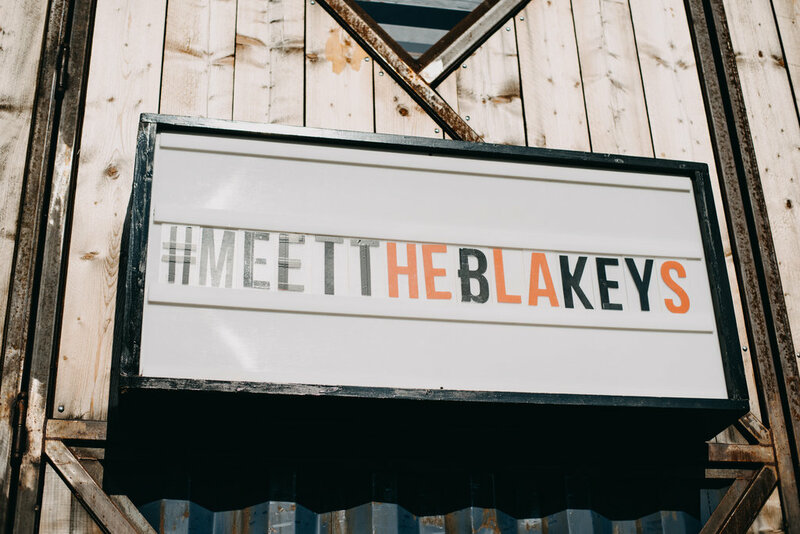 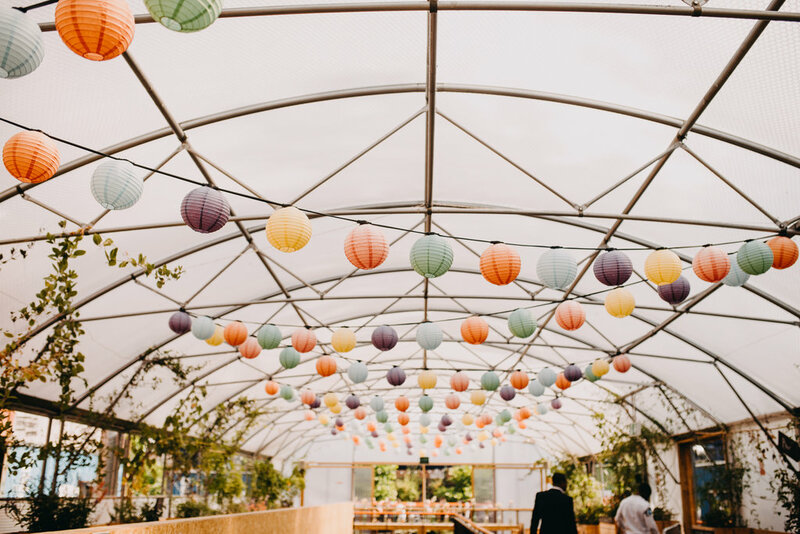 A Summer Pop Brixton wedding extravaganza! 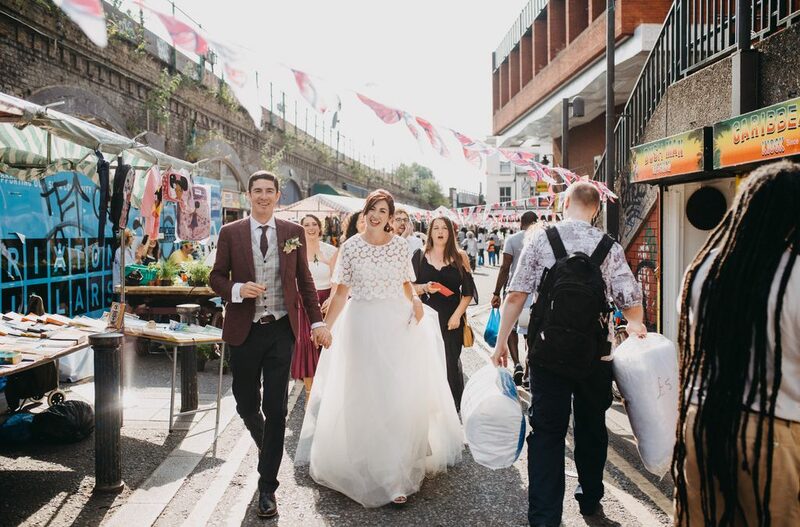 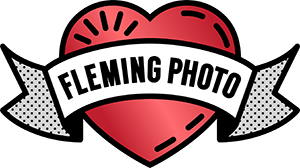 Last summer I had the absolutely delight of photographing Jill & Chris’ amazing Pop Brixton wedding and it was HOT! 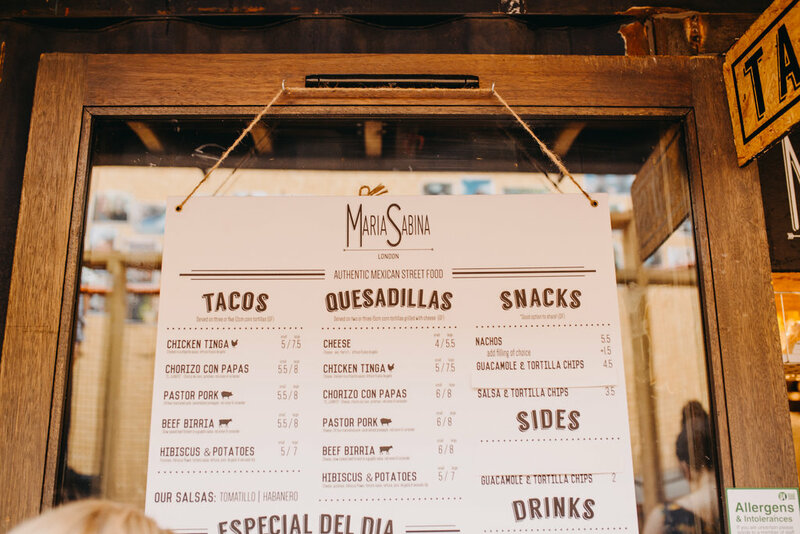 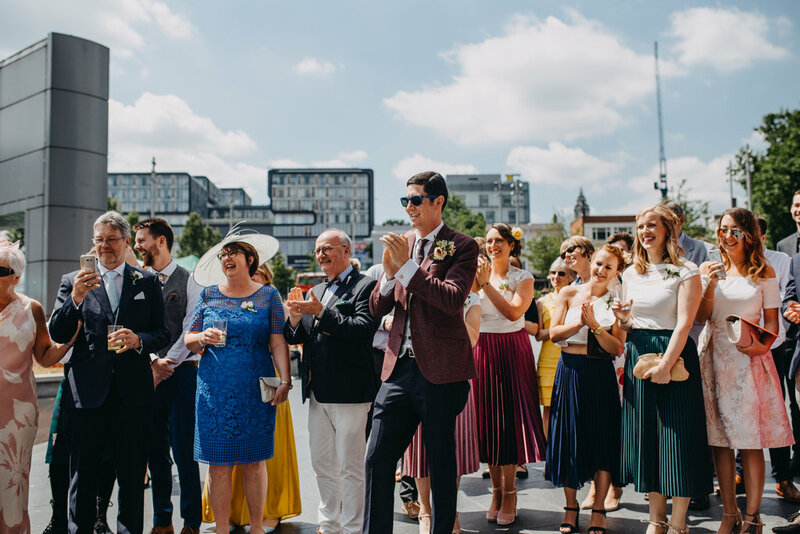 4 venues, 1 ceremony and unlimited drinks and street food goodness. 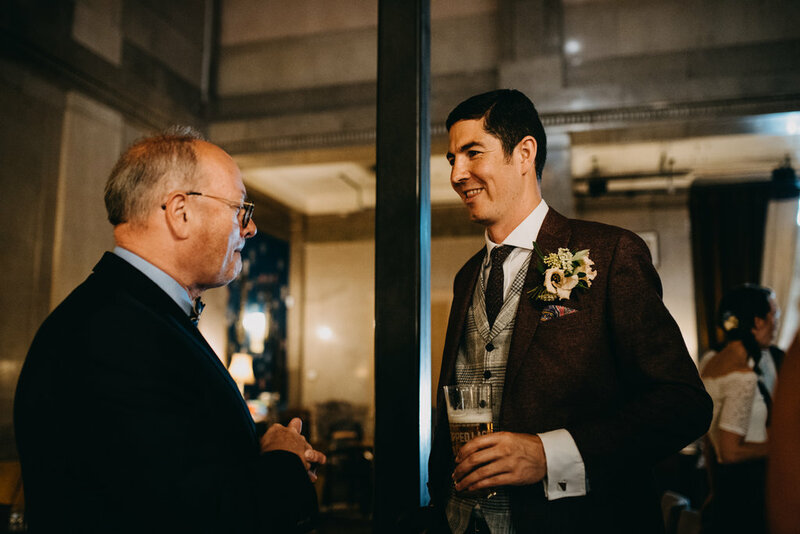 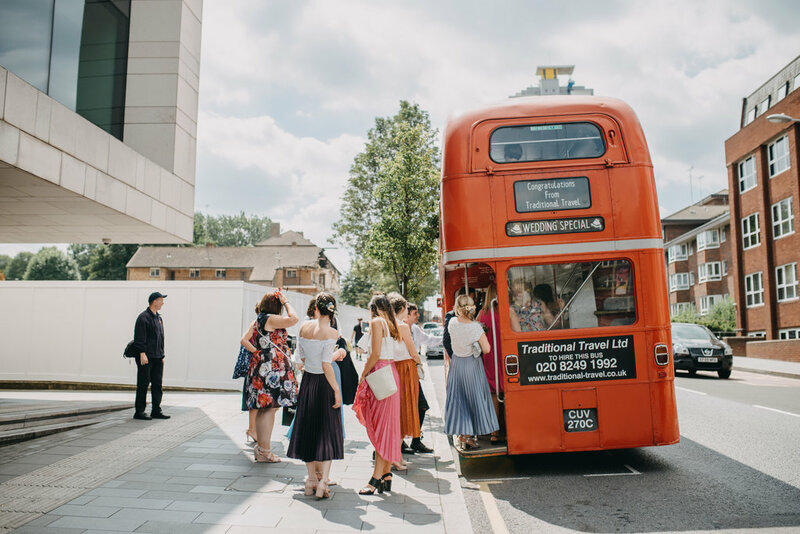 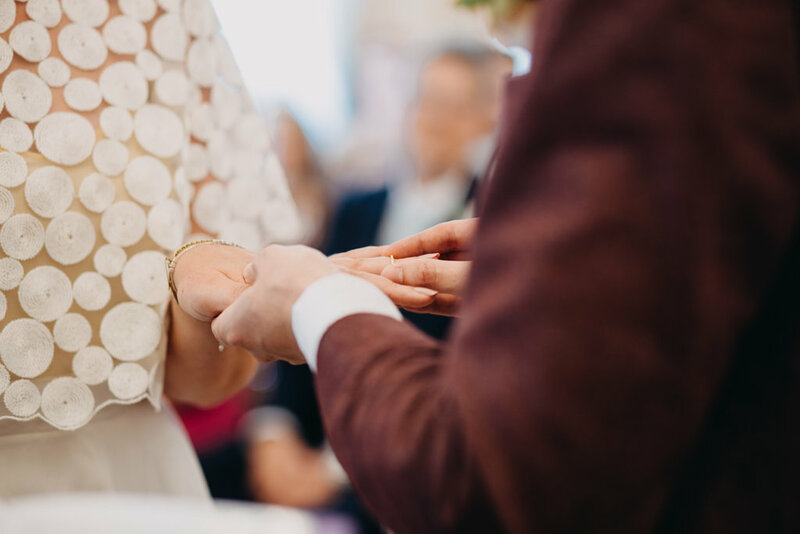 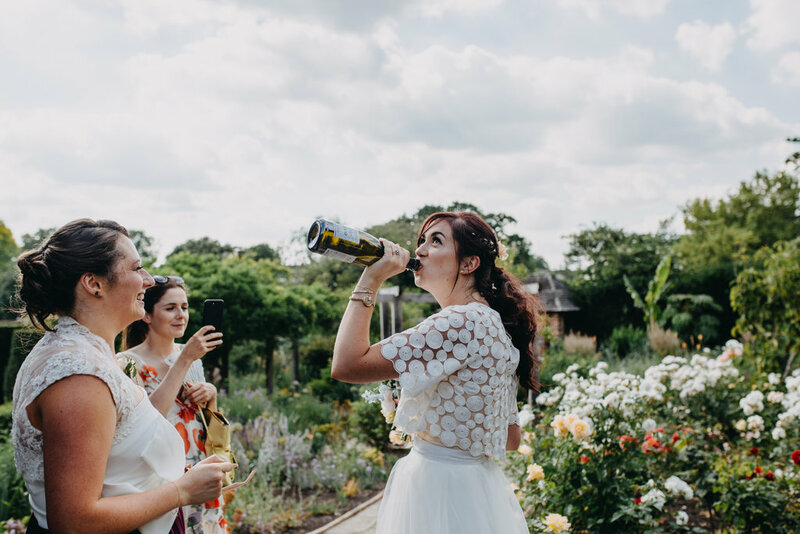 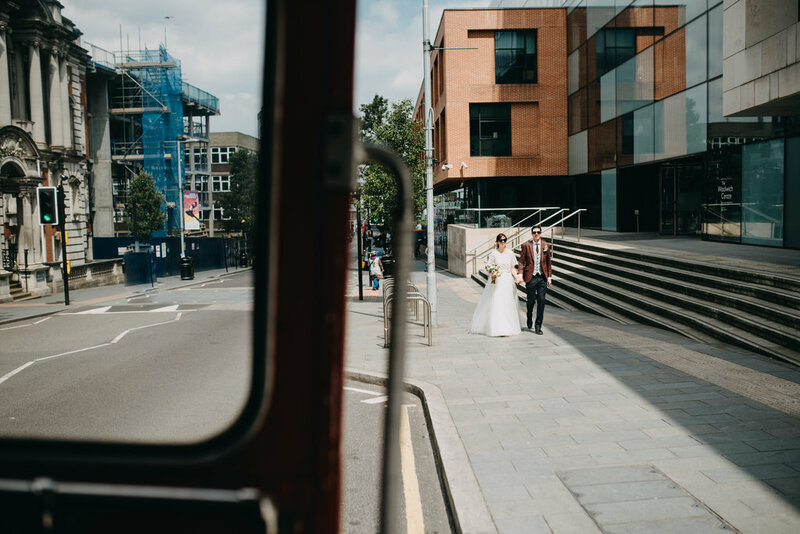 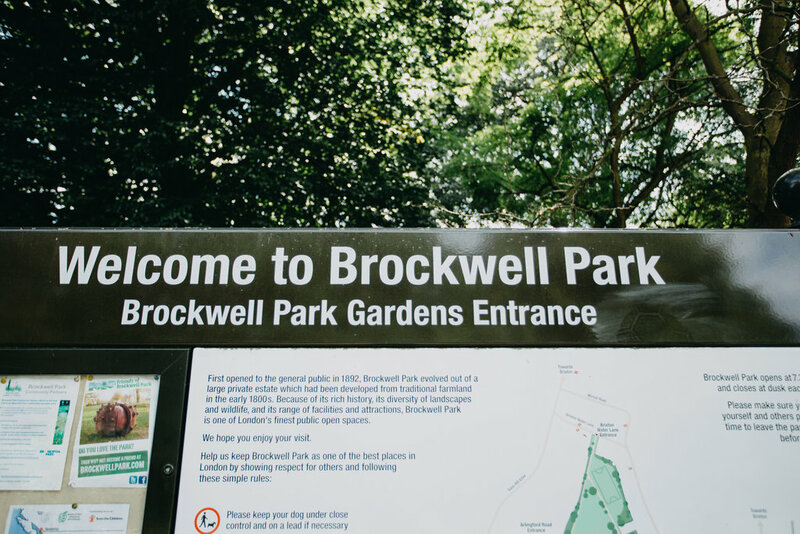 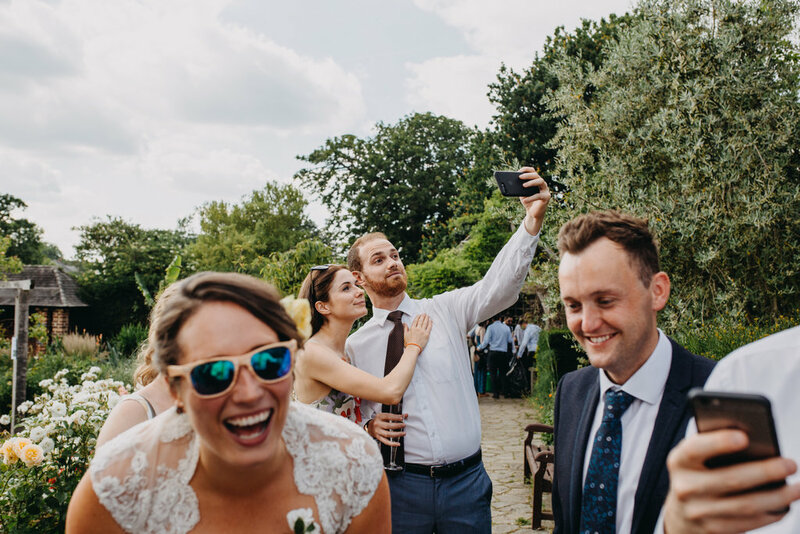 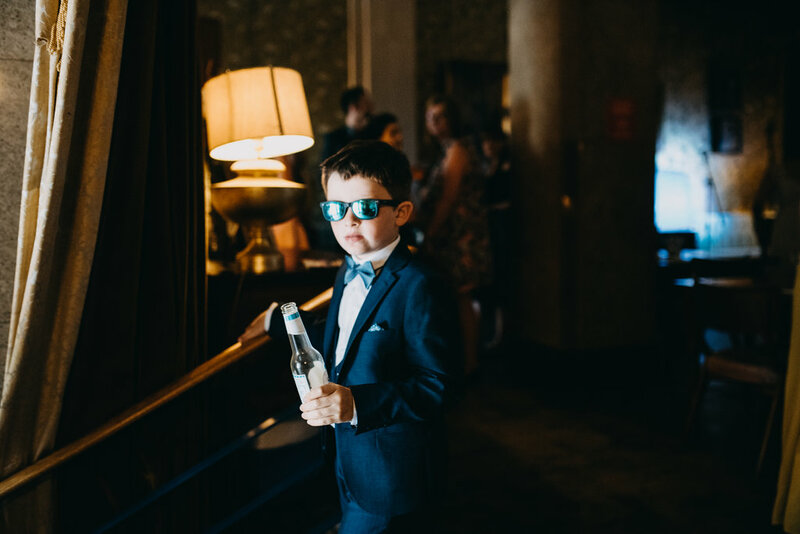 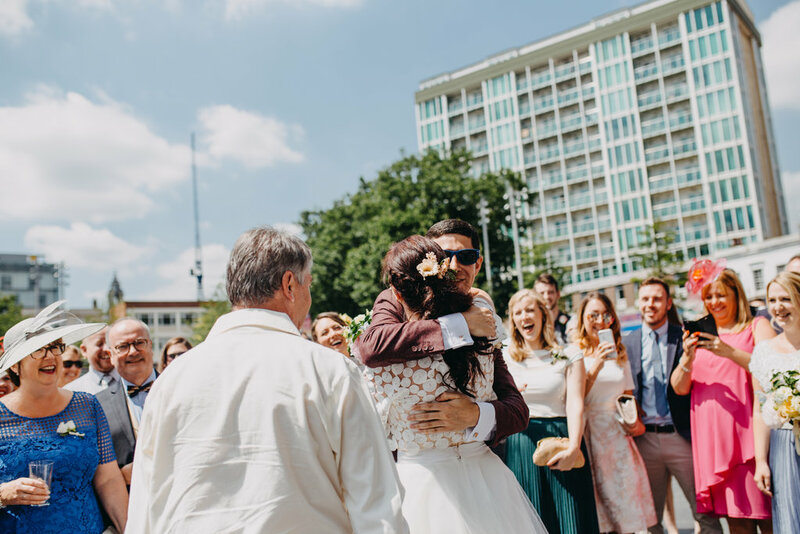 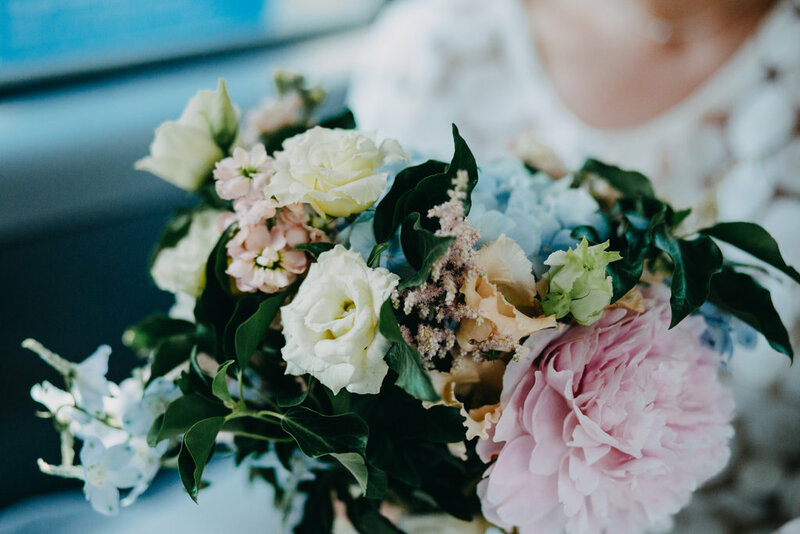 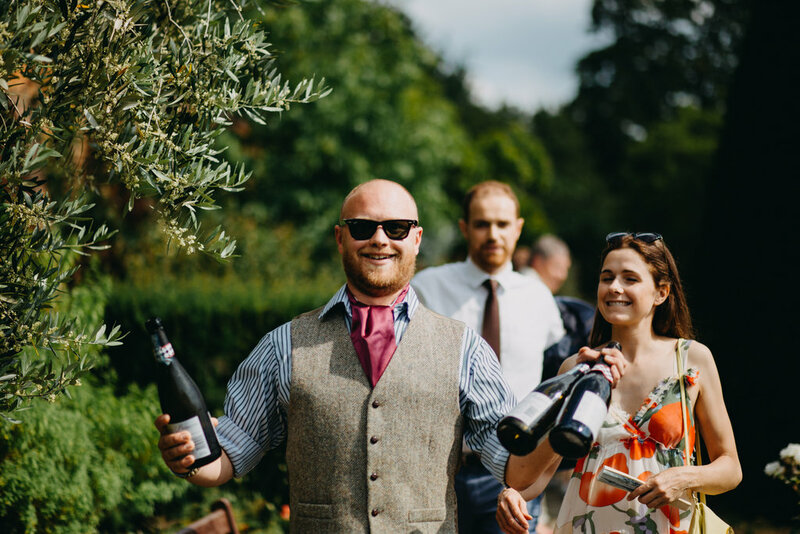 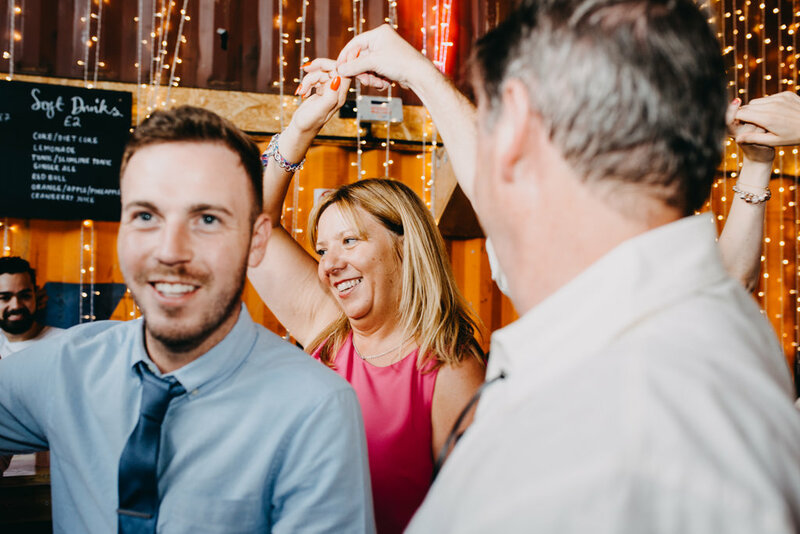 From Woolwich Equitable to Woolwich Town Hall, with a small stop at Brockwell park for drinks, A Summer Pop Brixton wedding is the way to go! 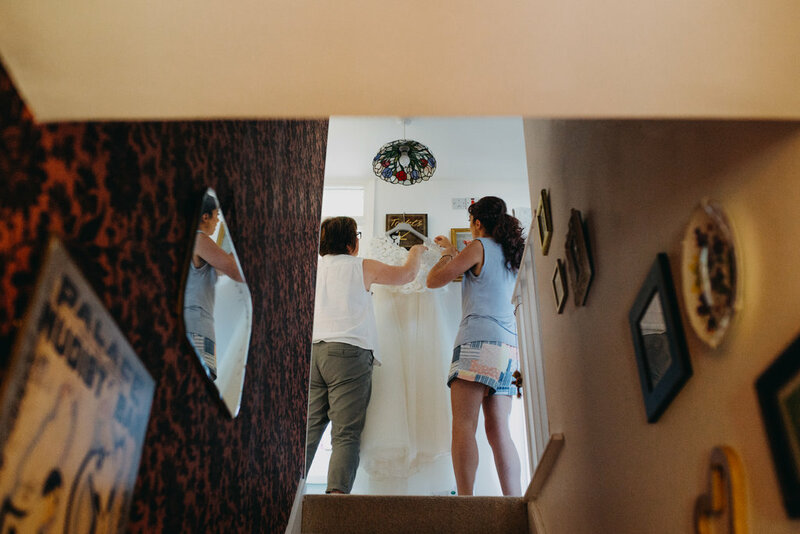 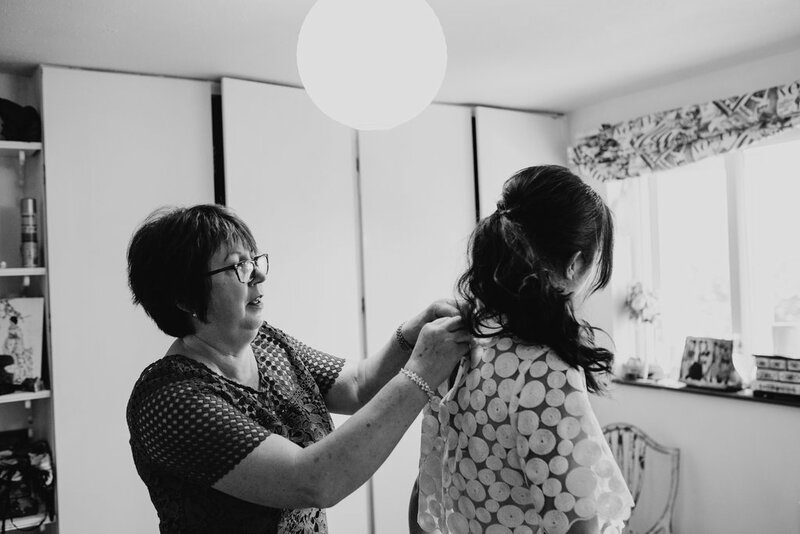 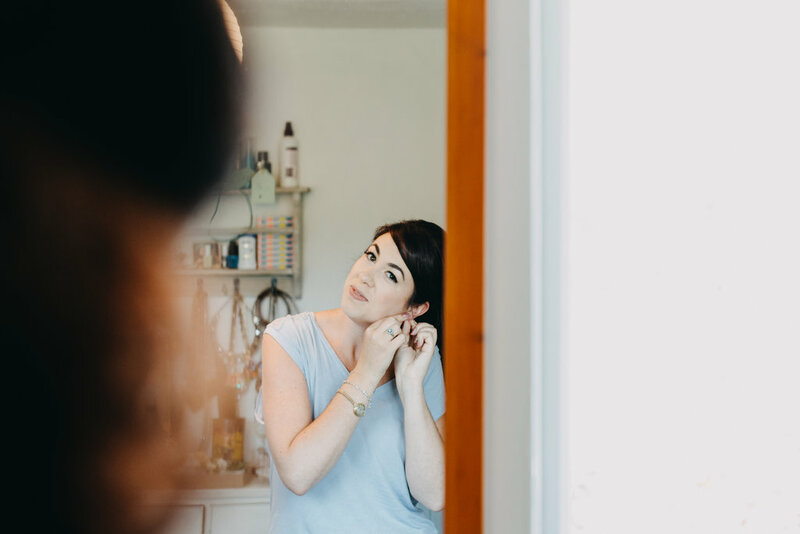 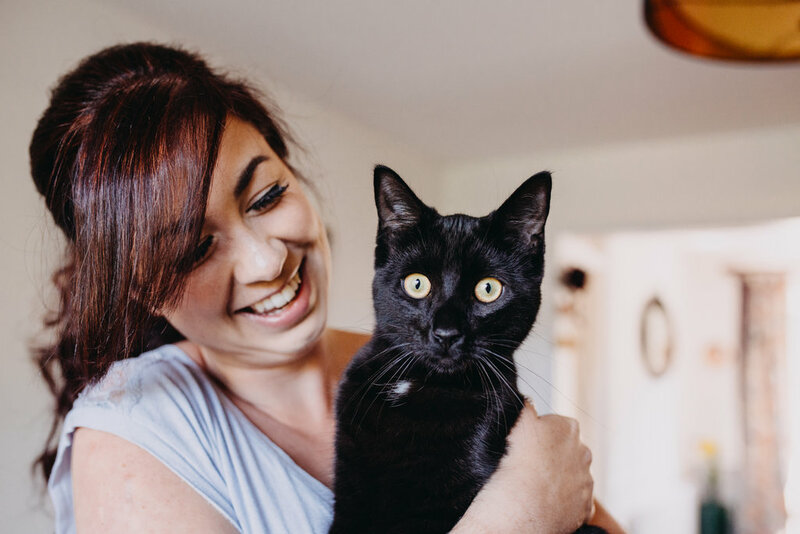 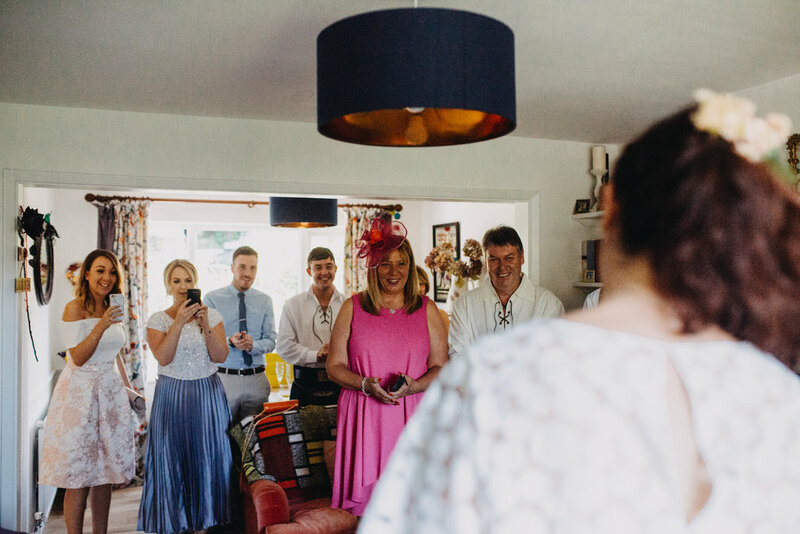 Jill got ready at the couples’ Crystal Palace home with family while Chris met up at the first venue, Woolwich Equitable. 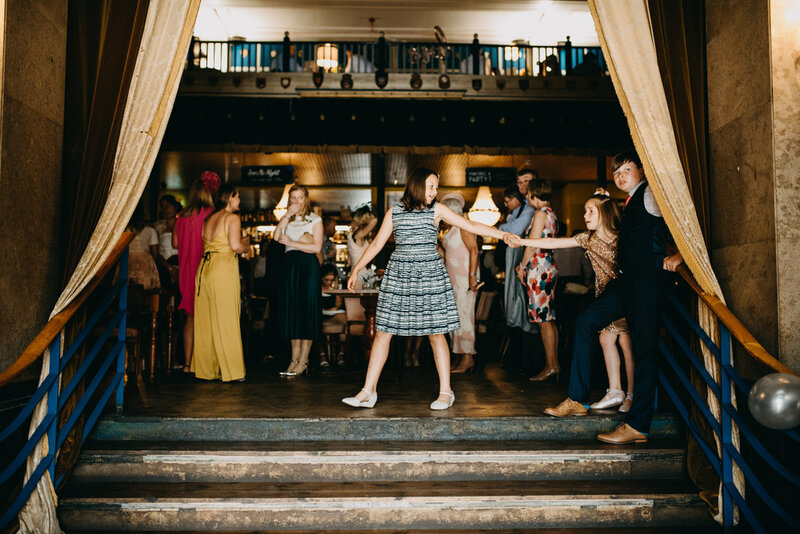 Being an Antic pub, I was already over the moon to shoot at one of my favourite chain of pubs. 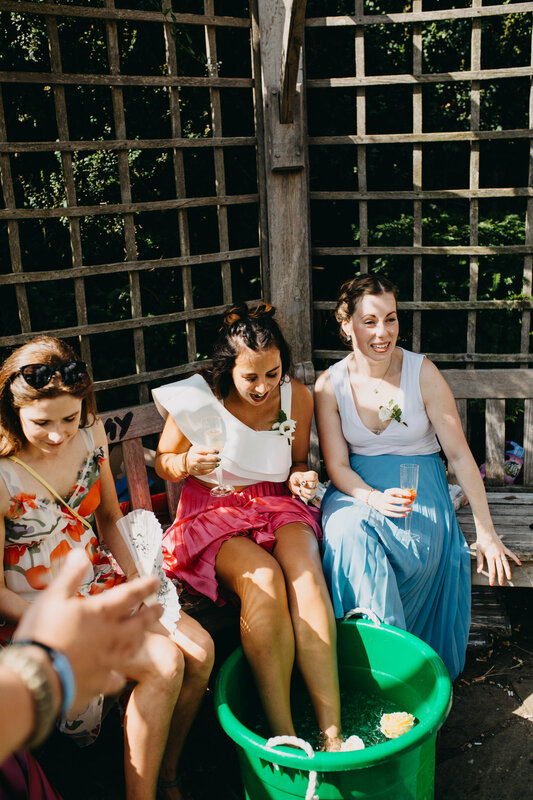 With the sun belting outside, Chris and friends enjoyed a cold one before the fun began. 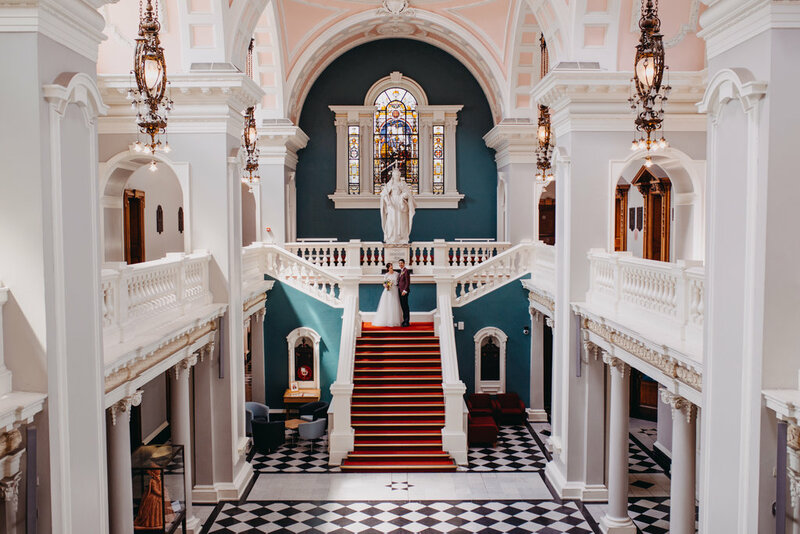 Like something out of a Wes Anderson Film (and we all know how I feel about Wes Anderson) I couldn’t get out of mind the turquoise and blush pink interiors. 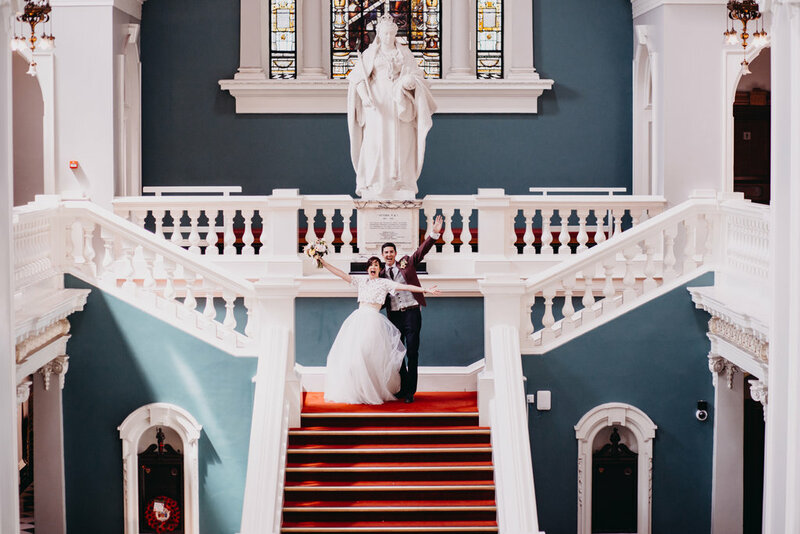 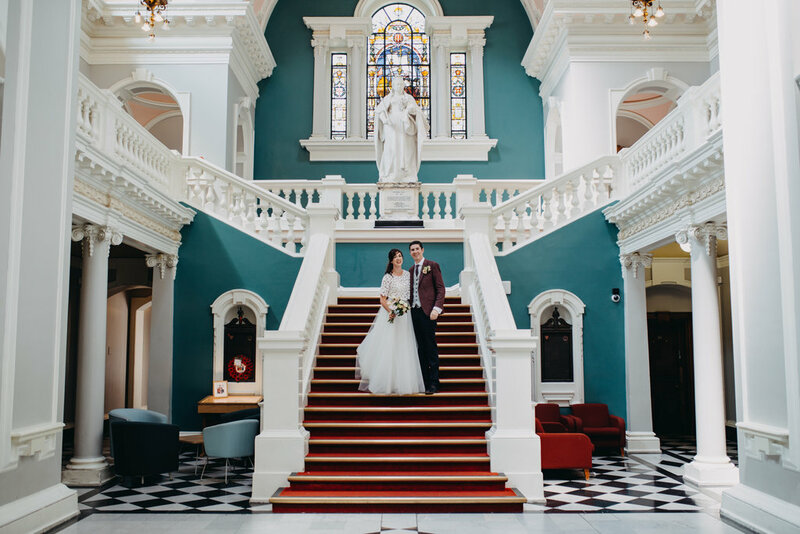 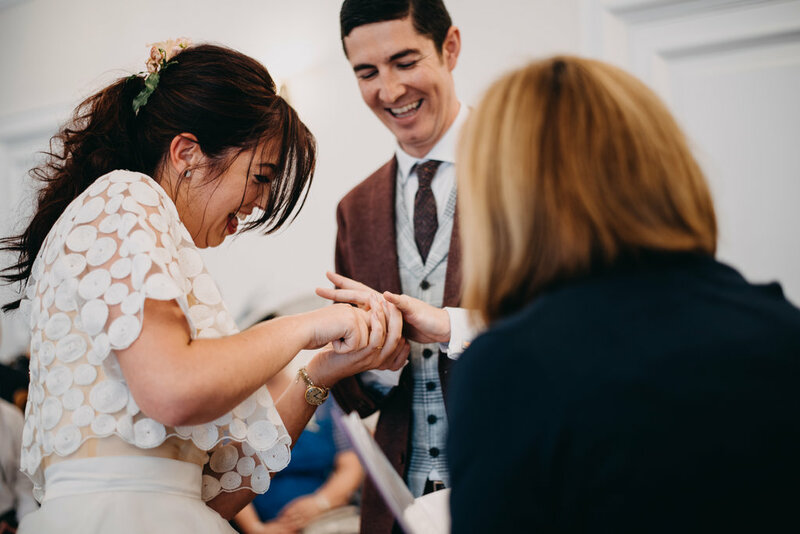 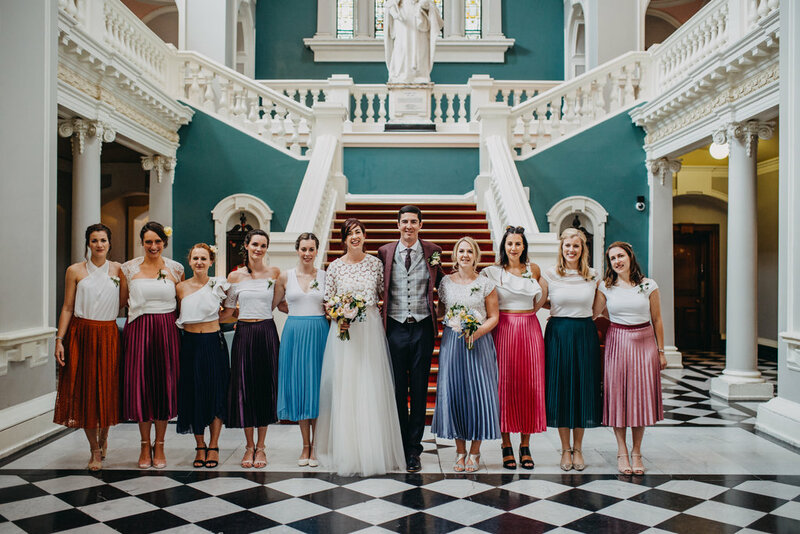 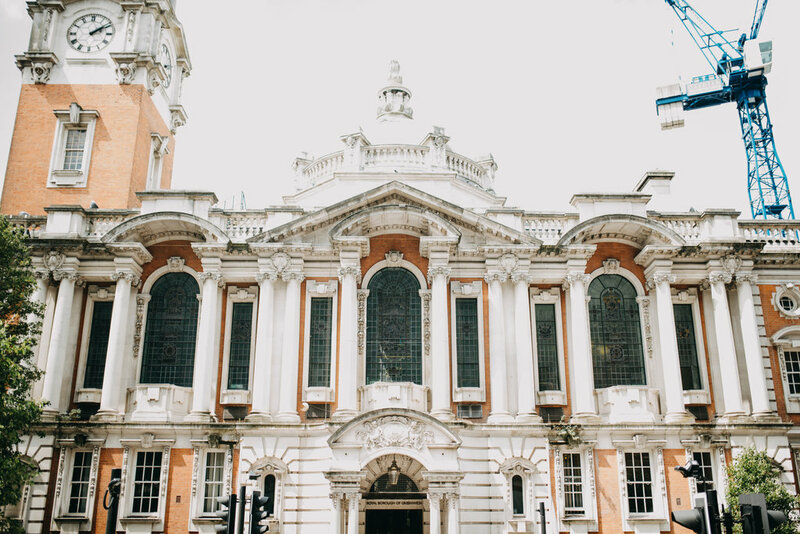 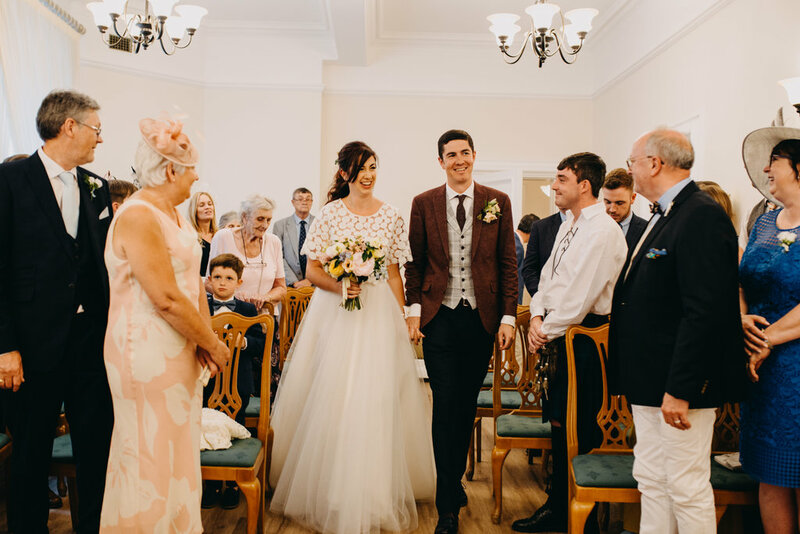 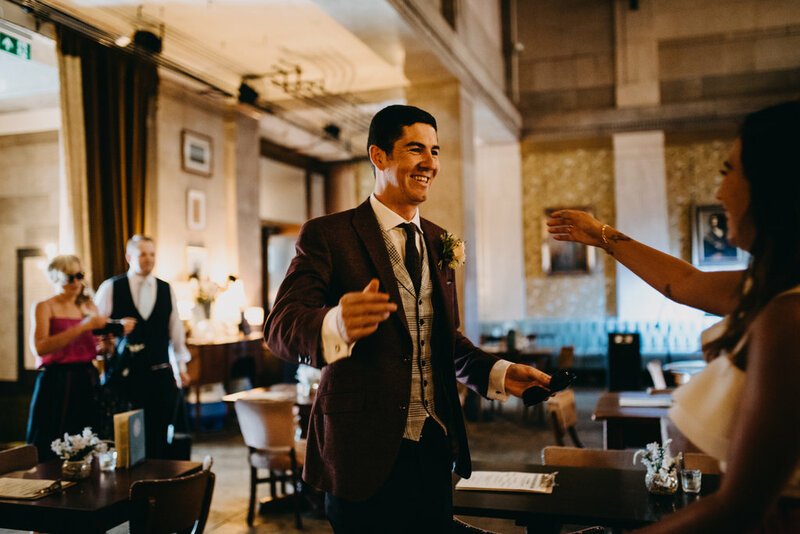 With its high ceilings, symmetrical staircases and beautiful natural life, Woolwich town hall is perfect for an alternative town hall wedding ceremony. 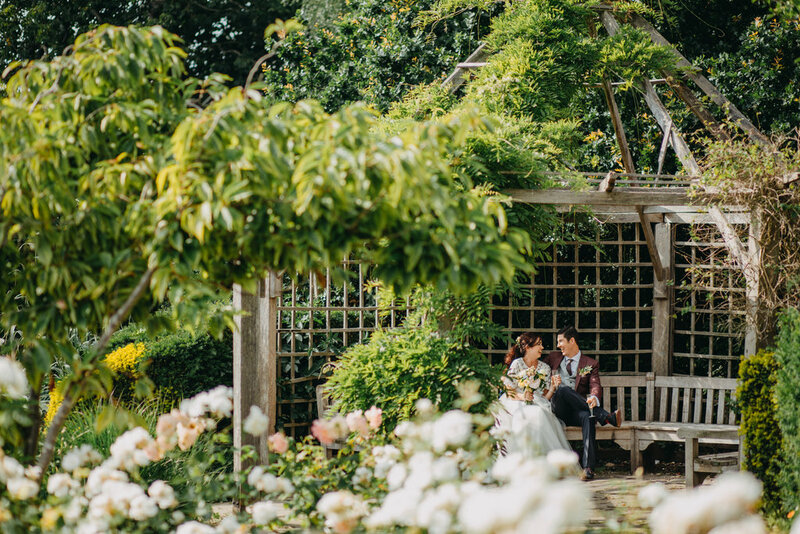 It’s massively overlooked because of its location but Jill & Chris picked the perfect location for their intimate ceremony. 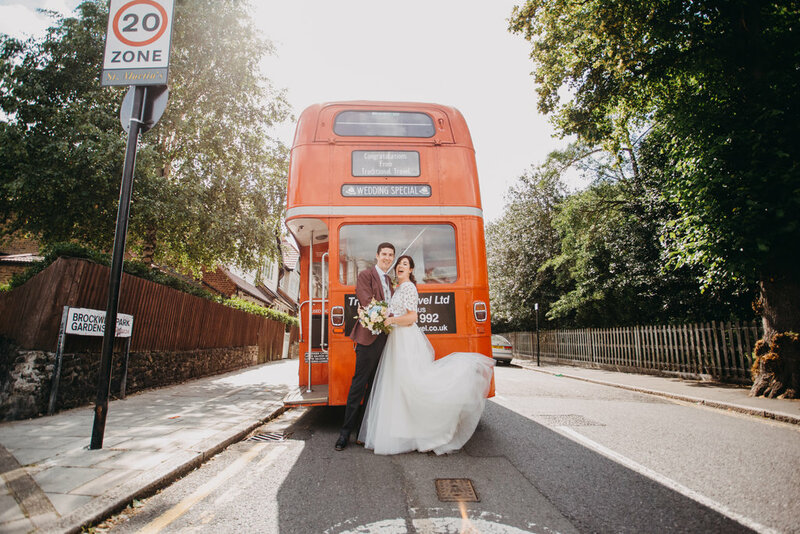 With another ride on the old route master, we were off to the last stop of the day. 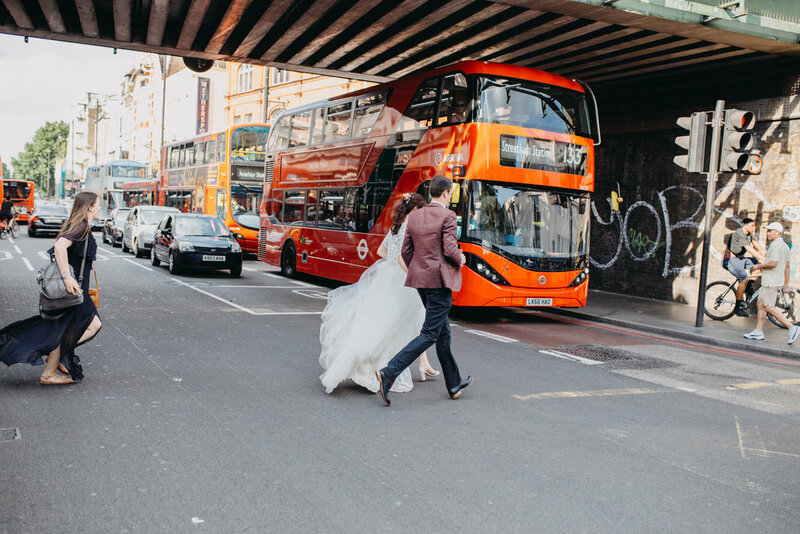 Pop Brixton. 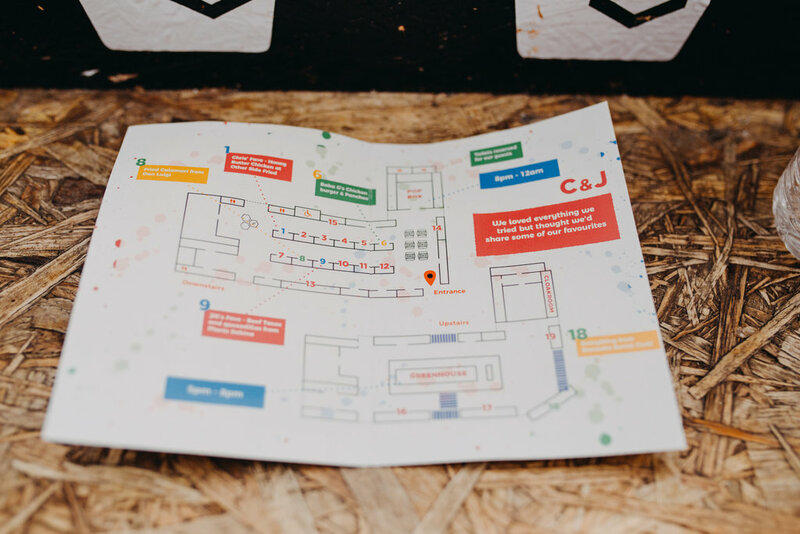 Pop Brixton is a community led temporarily venue with not just local street food vendors offering up the best of street food, but is also home to retail stores, offices and other local communities. 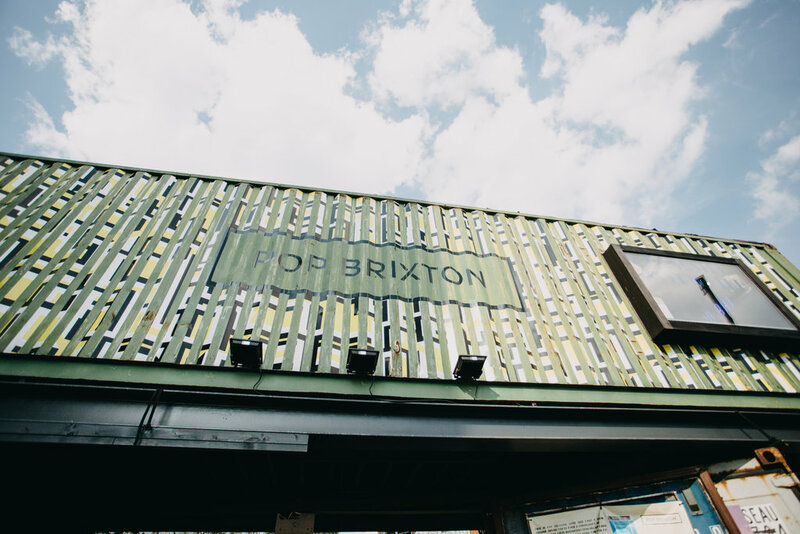 I cannot begin to explain how incredible Pop Brixton is. 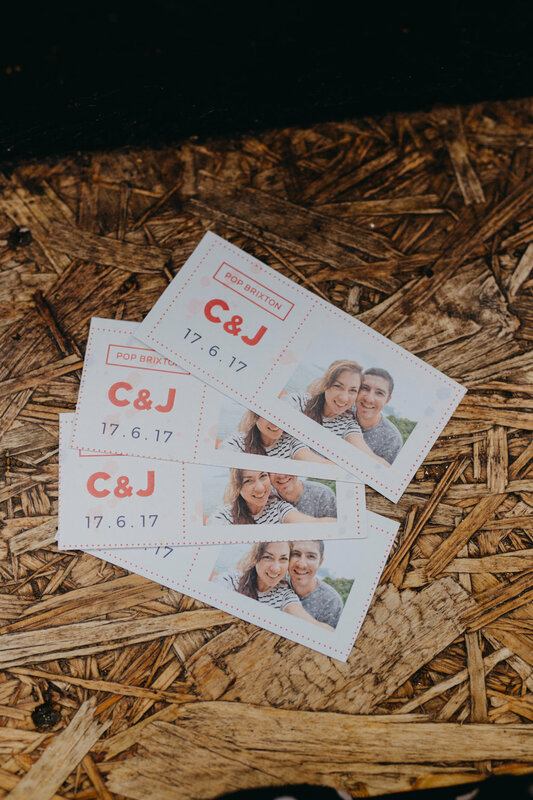 So when Jill & Chris said they were to get married there, I couldn’t wait to photograph their reception there. 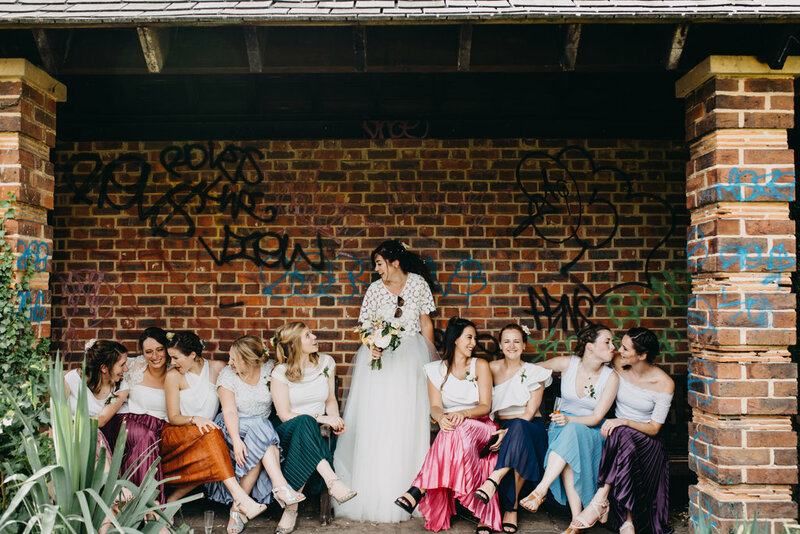 The wedding party had a completely private space in the top section of this contained village. 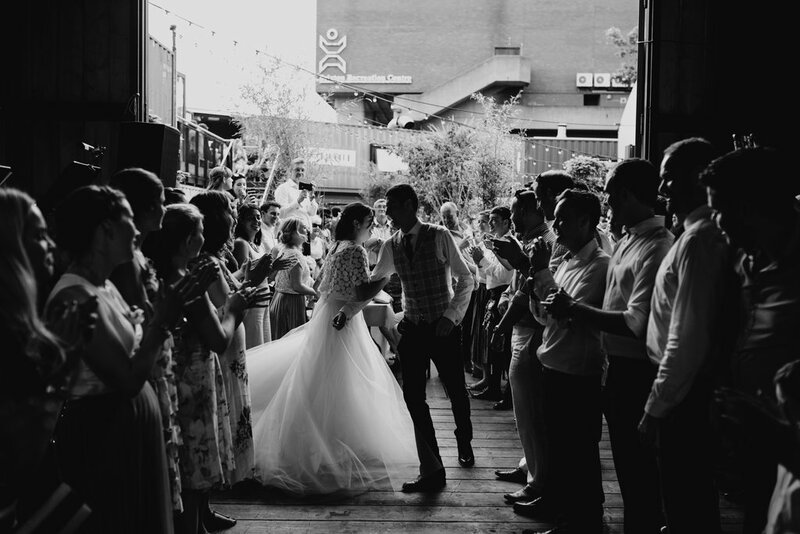 Decorated beautiful with lots of personalised details, they made their Pop Brixton wedding feel intimate in such a big venue. 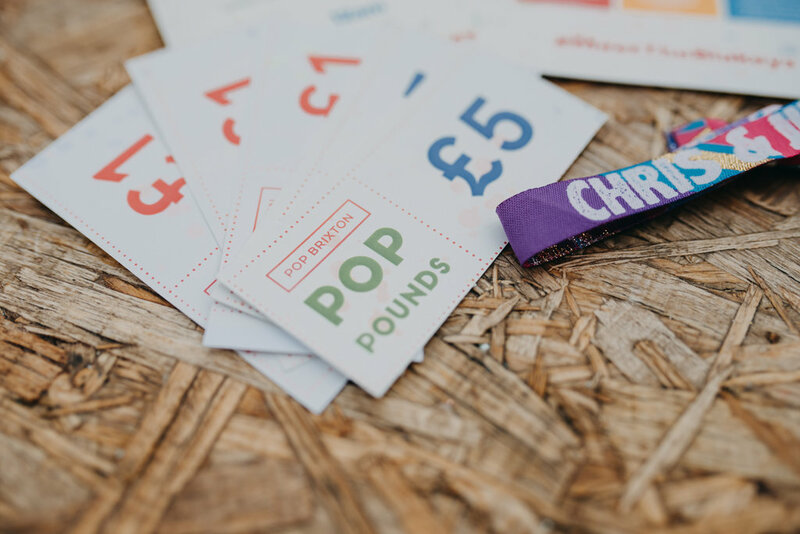 Instead of a sit down meal, the pair instead designed food tokens and gave each guest a little pop brixton pack with maps, ideas and suggestion and their tokens. 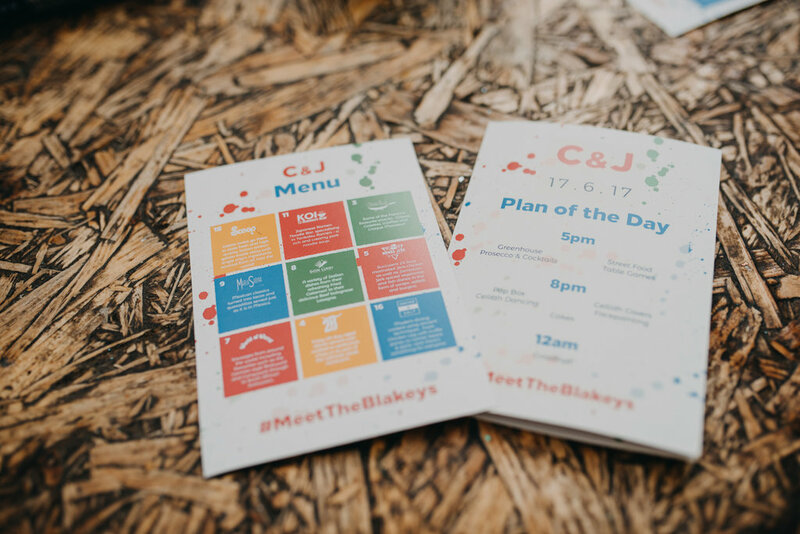 The guests could then choose their wedding meal! 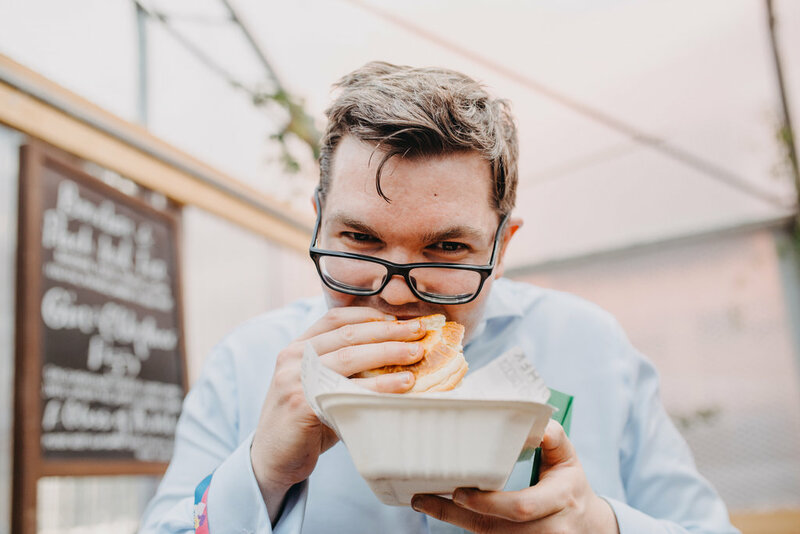 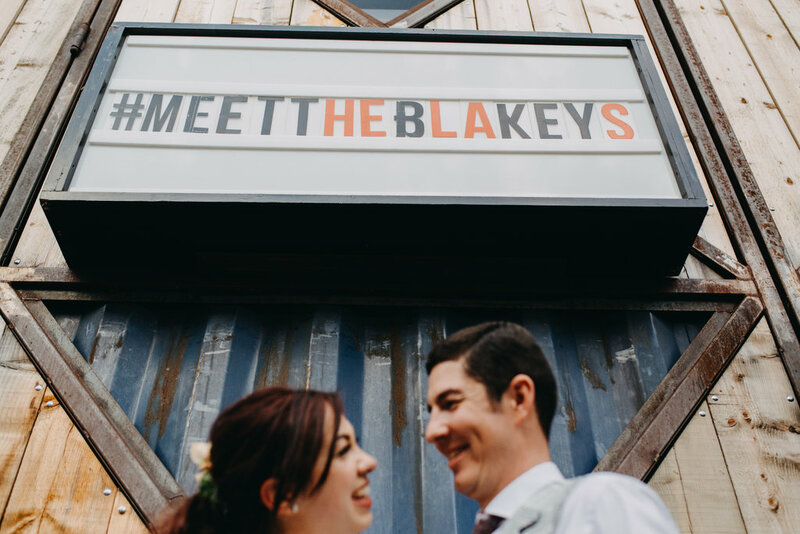 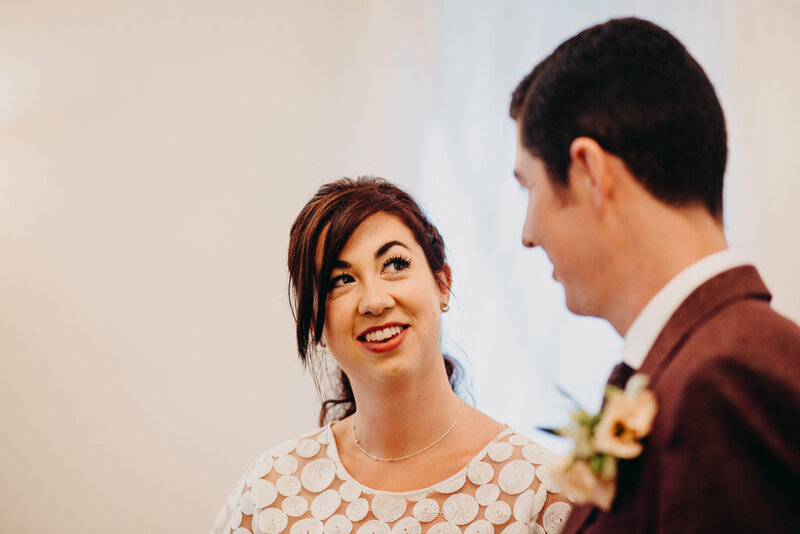 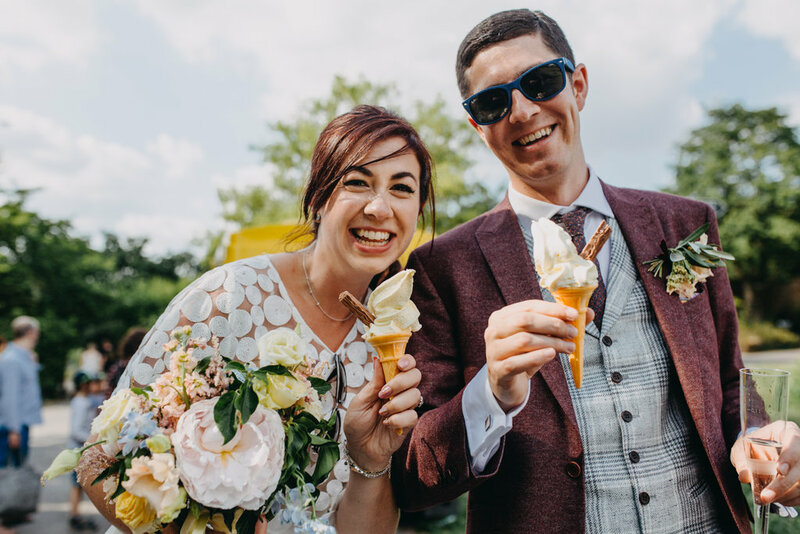 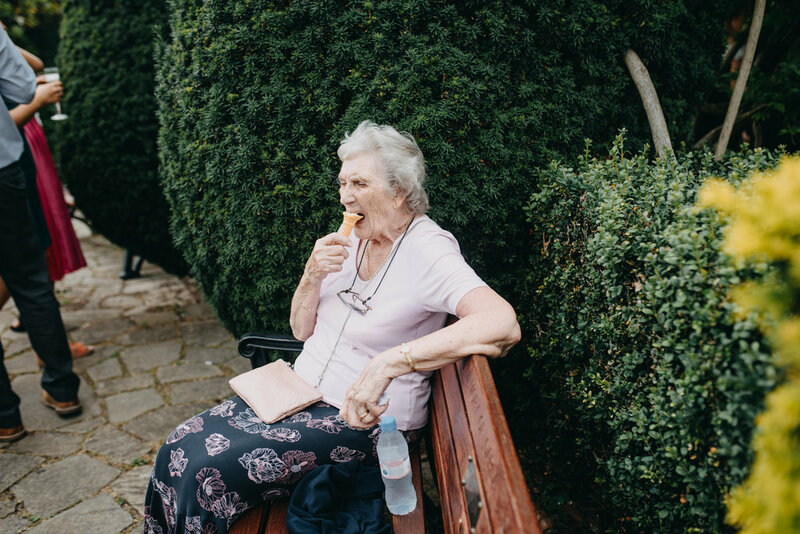 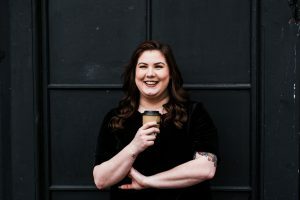 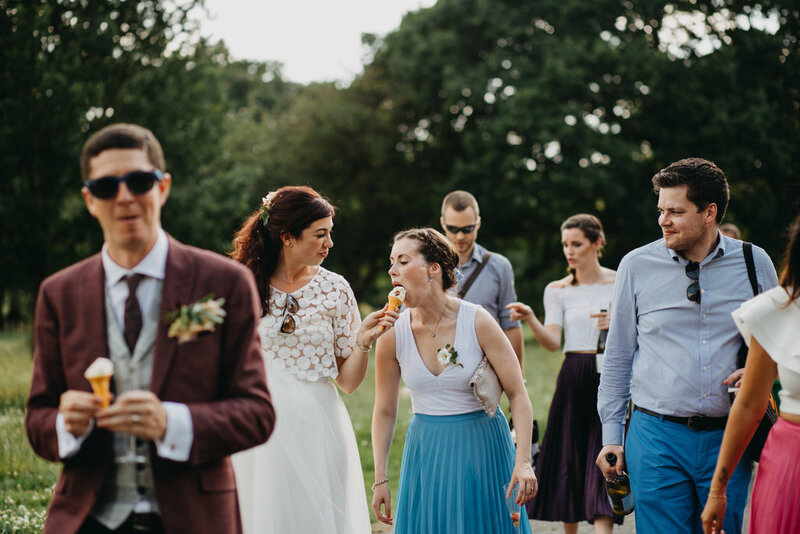 It was a perfect way to deal with different appetites and dietary requirements and I think street food for your wedding meal is such a good idea and one I’ve even banked in my ‘Lex’s secret wedding plans” pinterest board! 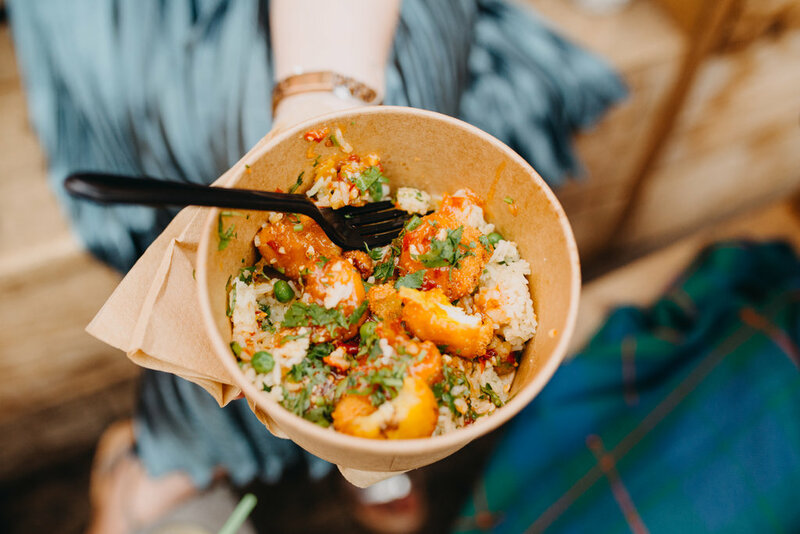 From pizza to burgers, to sushi and dim sum, there was a street food vendor for everyone. 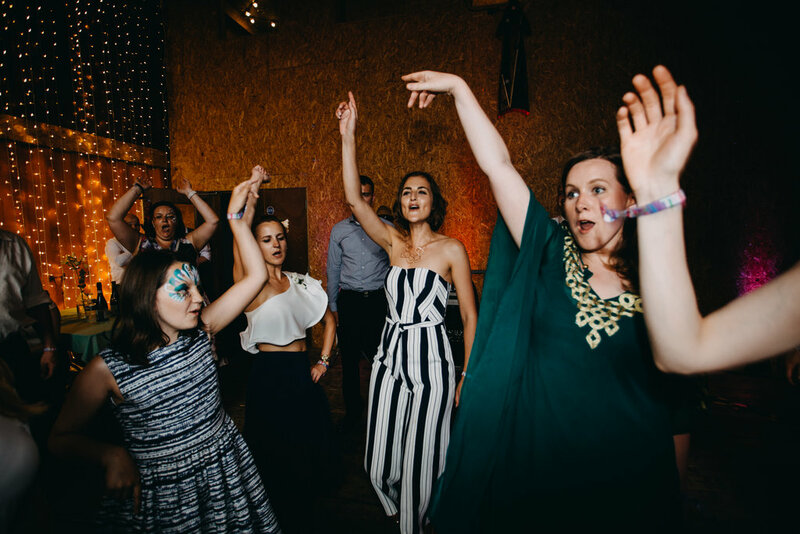 No wedding is complete without the first dance which commences the best dance party the world has ever seen. 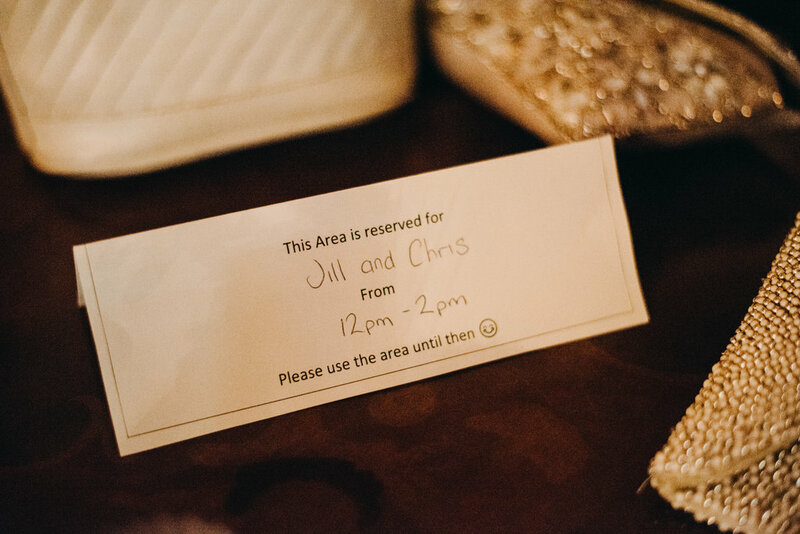 So Jill & Chris did it in style. 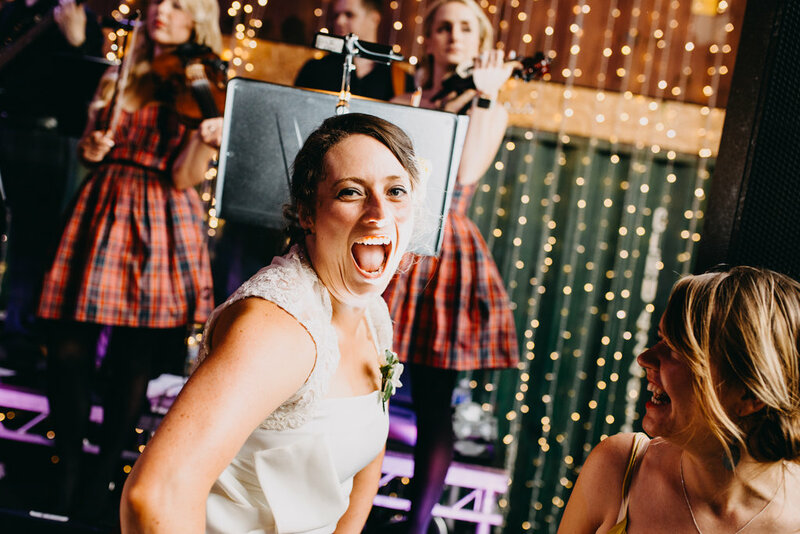 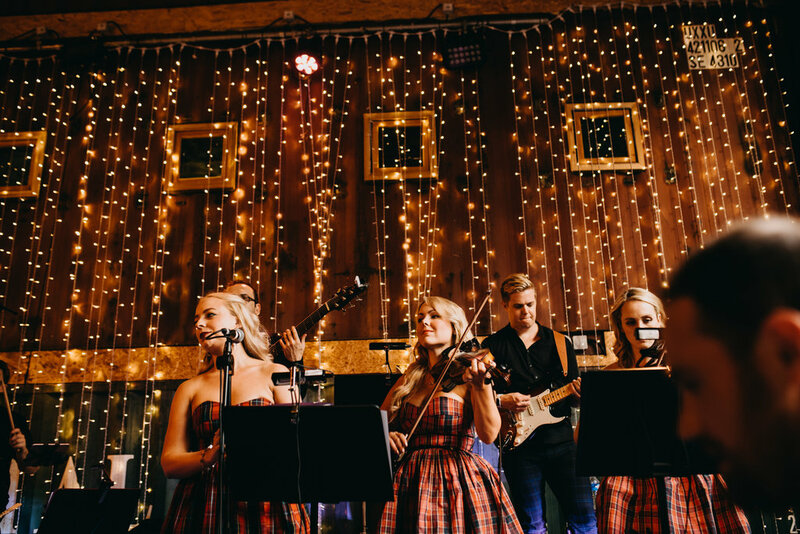 They booked one of my favourite bands Licence to Ceilidh. 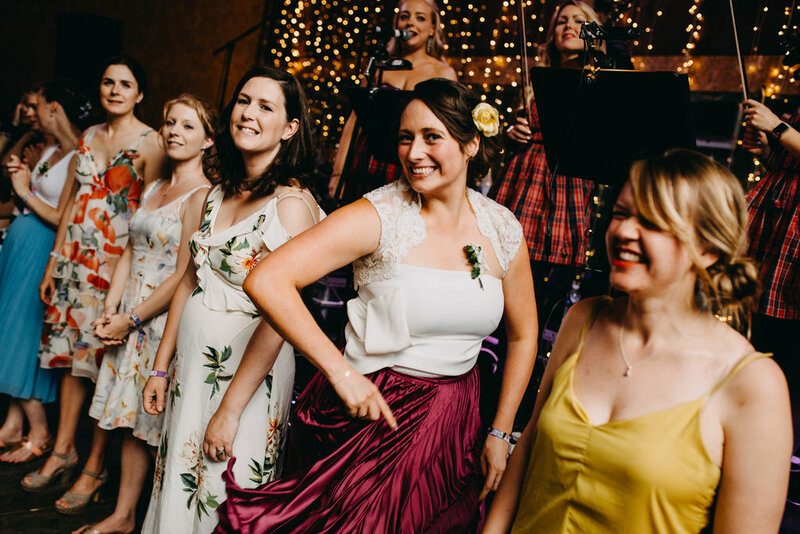 They got the party going with a ceilidh first dance and by the time we left, the swear was pouring of everyones’ brow. 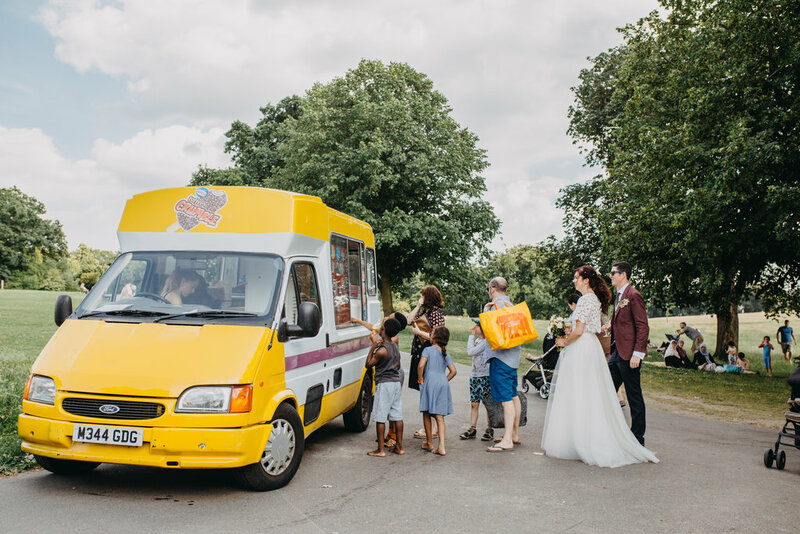 We weren’t sure whether it was from the July heatwave of the ruddy good time everyone was having! 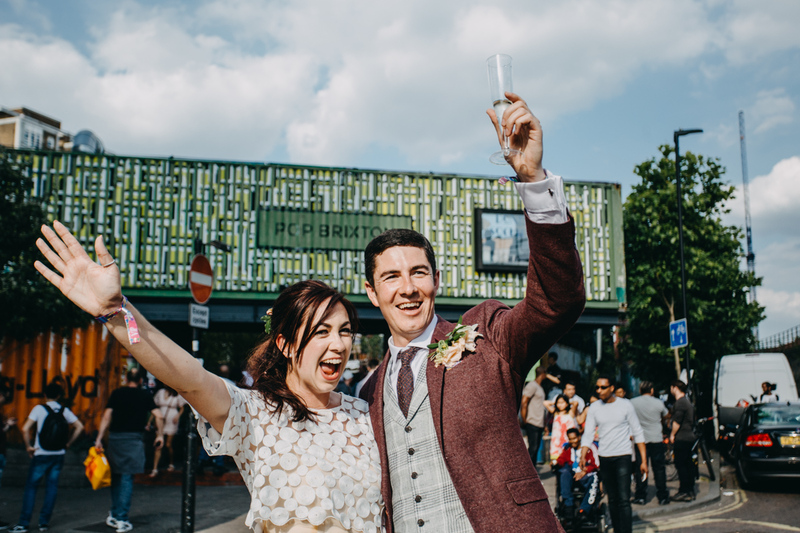 All in all, Jill & Chris’ Summer Pop Brixton wedding was a total blast to photograph and be part of. 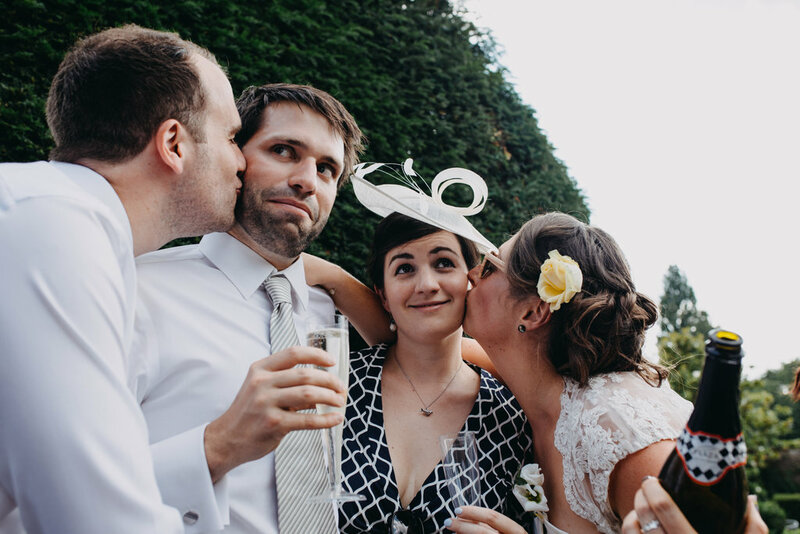 Thanks again to the couple for having me and trusting me to keep up with your nonstop wedding adventure! 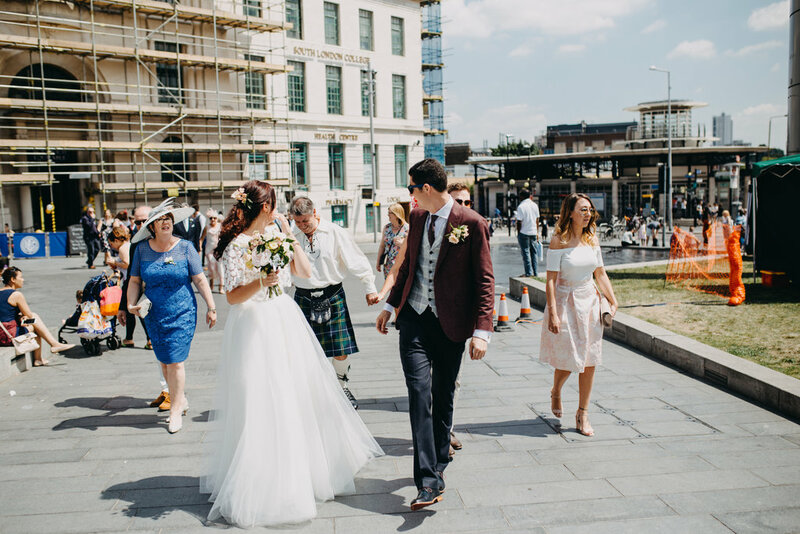 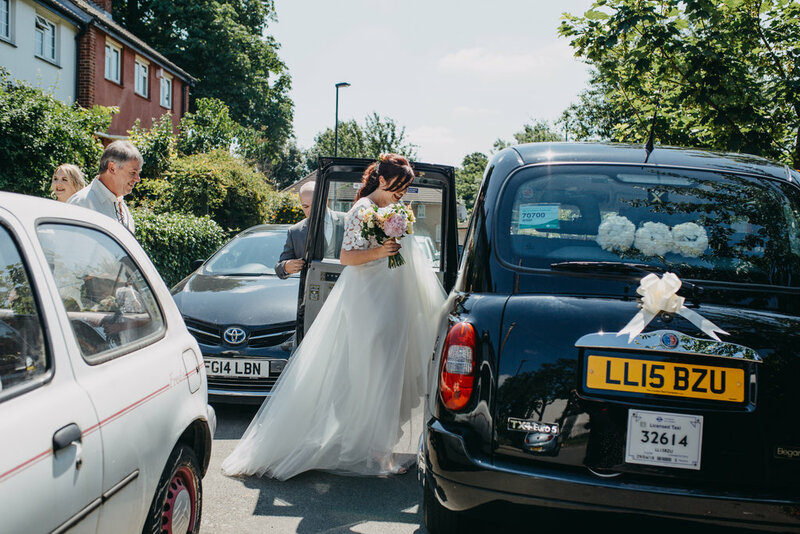 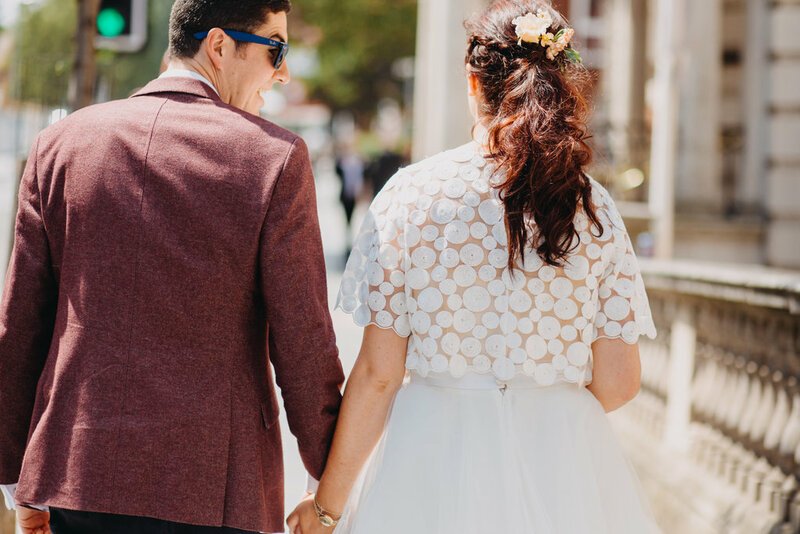 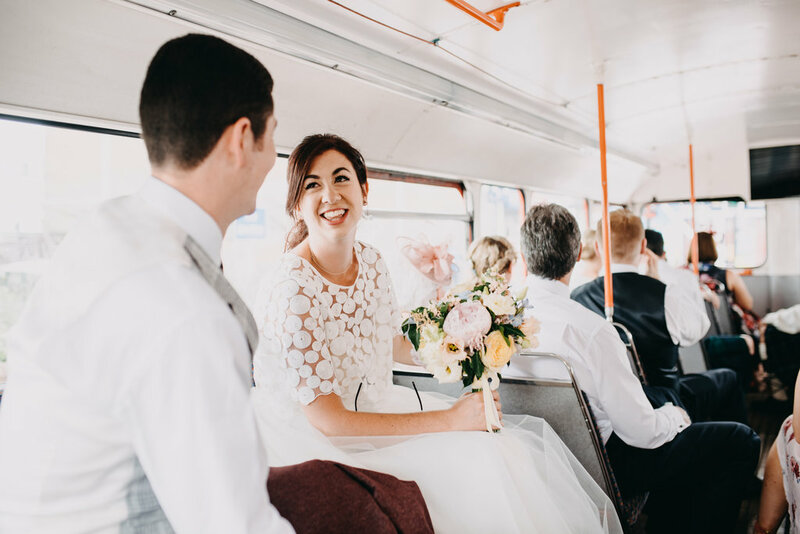 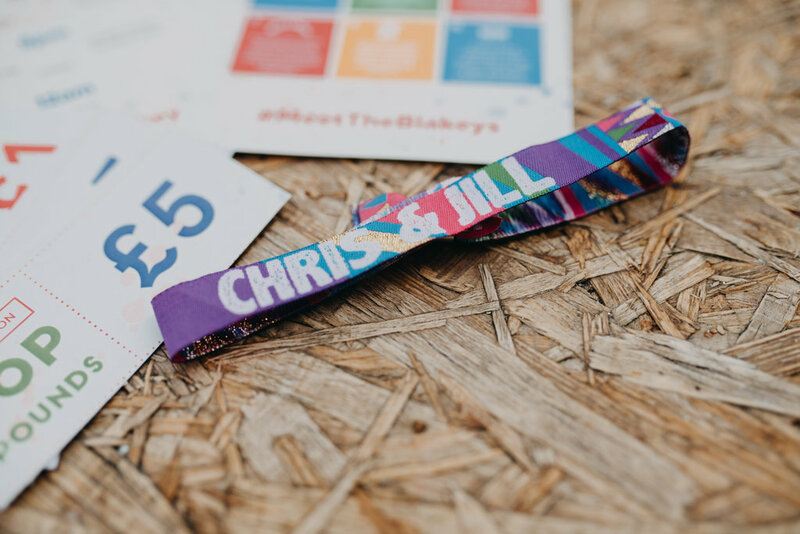 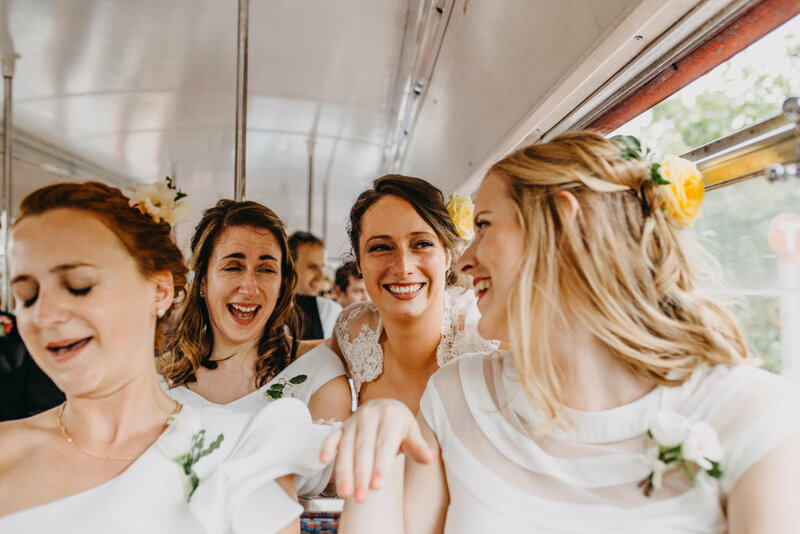 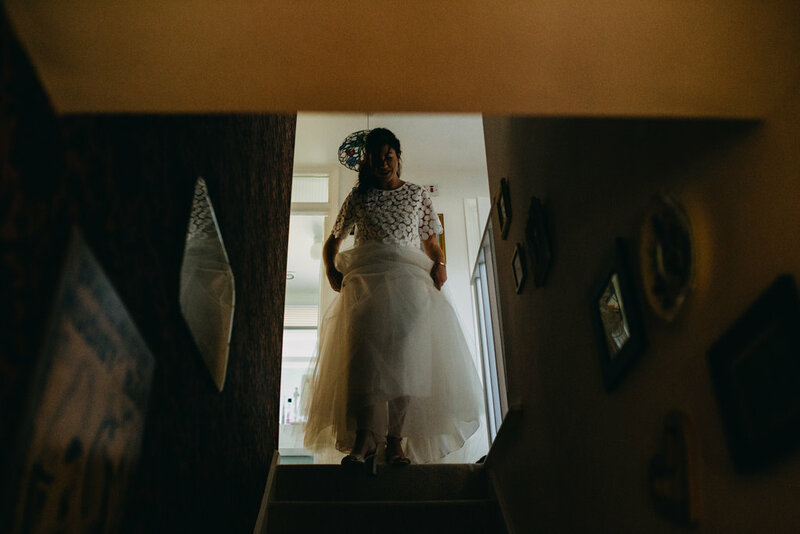 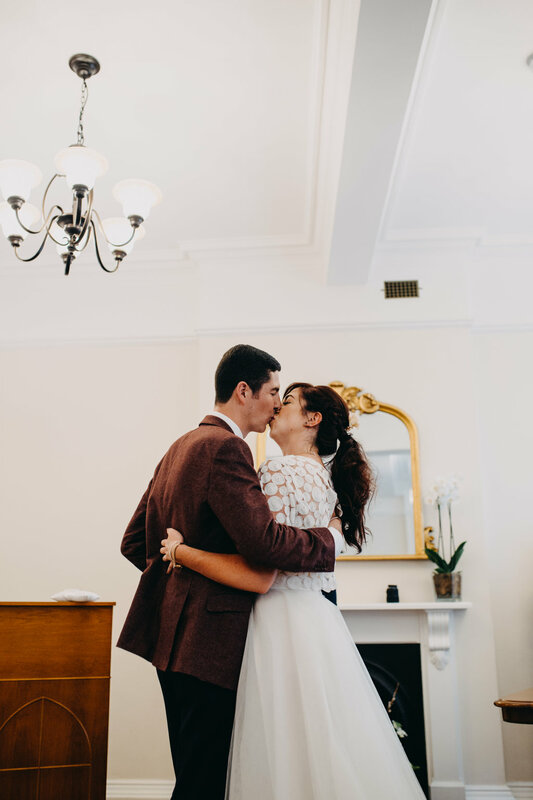 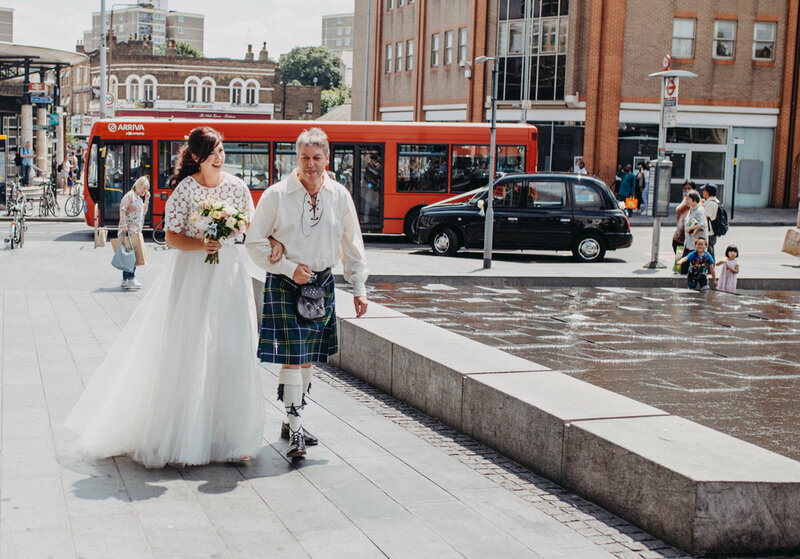 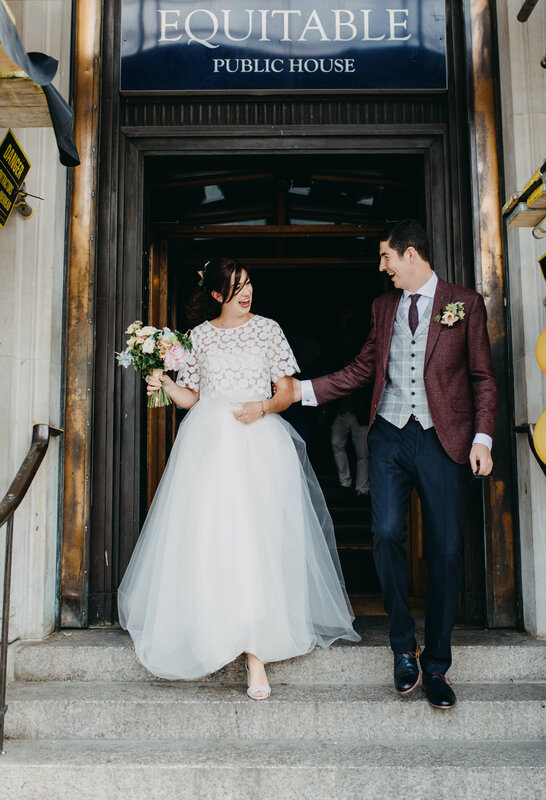 See more of Jill & Chris’ Pop Brixton Wedding below!